Parker by Milano Bedding is an armchair bed with flared armrests equipped with a cm 200 long resilient polyurethane foam mattress and an easy to open bed base with beech plywood slats. 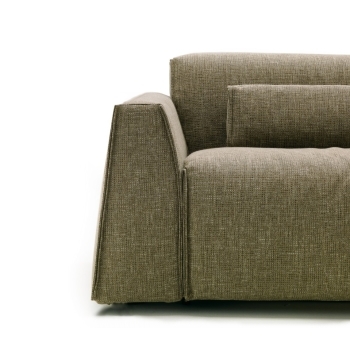 By using a slide-out mechanism and rotating the backrest without removing the cushion, you can open a single bed. Ideal to be used as an extra bed for your guests if need be, Parker can be used as a fixed version. 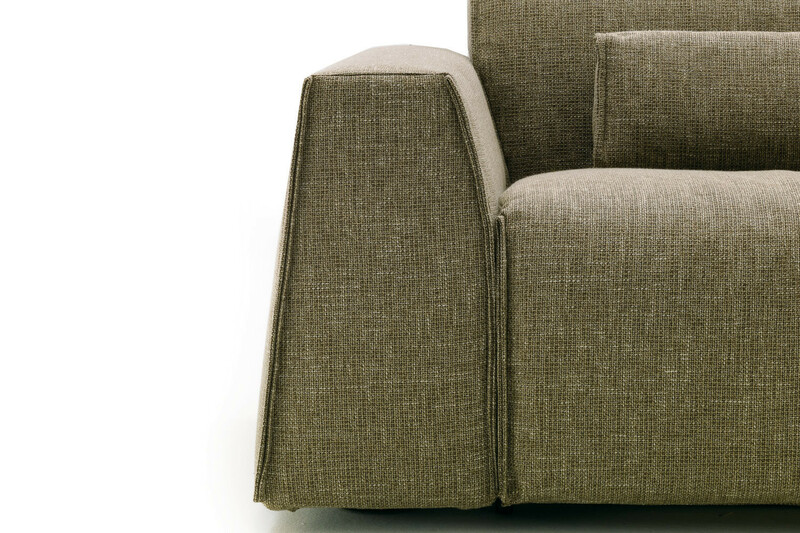 It is characterized by thick armrests and visible seams, elements that highlight the greatest attention to detail in the manufacturing of the armchair; the ideal item for modern sitting rooms. Here proposed as a dark leather armchair with contrasting piping, it is also available in eco-leather, if you want to keep down the cost and have a refined look anyway, or in fabric for a more practical cover. Parker Small armrests: cm 25 each. Parker armrests: cm 30 each. 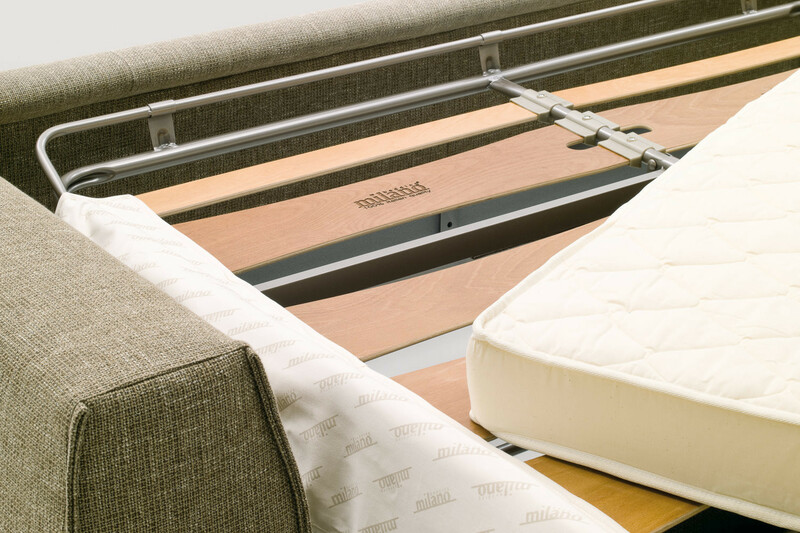 All models include a Standard h.12 mattress in resilient polyurethane foam. As an alternative several other mattresses are also available: models with pocket springs, in polyurethane and latex. 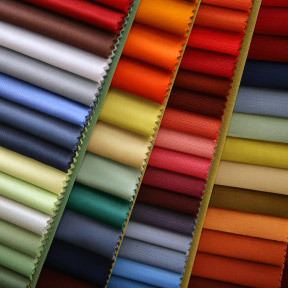 Parker is available in fabric, eco-leather and leather in all the colours displayed in the samples page. All covers can be removed and washed according to the specifics of every material. 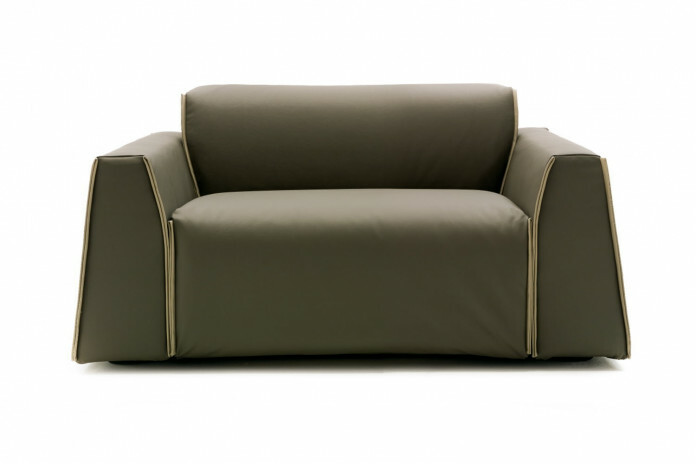 The armchair bed is characterised by piping with visible seams customisable in a colour of your choice. You can choose matching or contrasting piping in the same category selected for the cover. 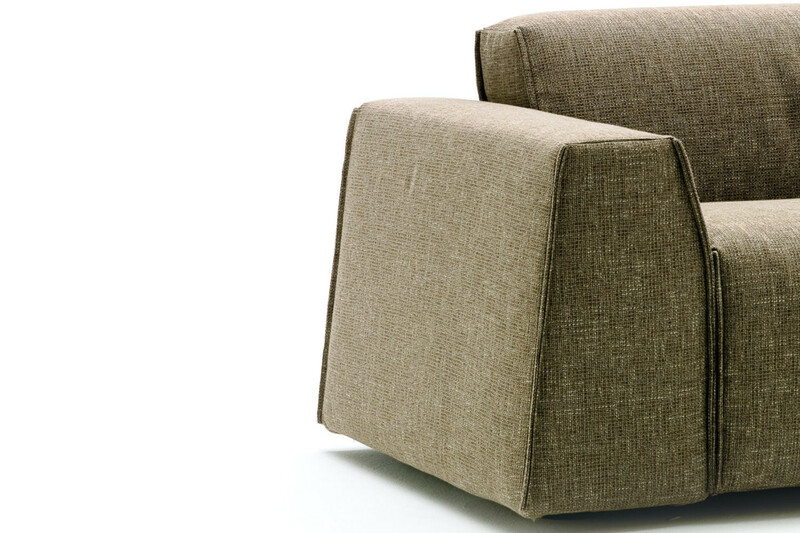 The armchair bed can be completed with an ottoman available in two dimensions and with cover matching the armchair. Mechanism: high resistance furniture tube, oven coated with epoxy powders. Orthopaedic bed base with steamed beech wood slats. Seat with elastic webbing. Mechanism opening and closing in one time. Frame: backrest in high resistance furniture tube, oven coated with epoxy powders. Armrests in fir wood, particle wood and poplar plywood. Headboard in fir wood and particle wood. Front panel in poplar plywood.